There can be no doubt that abdominal hernia surgery has become a surgical super-specialty. Although there are still no proper university specialization courses devoted to it, many national and international scientific societies have introduced advanced and Masters courses that can confer, at least preliminarily, some kind of qualification indicating expertise in the field. Consequently, there has emerged, internationally, a clear need to identify, and classify by level of expertise, centers that can meet patient demand for high quality services in the field of abdominal wall reconstruction and hernia treatment. The scientific data presented at our international meetings and, above all, in published scientific papers show clearly that specialist centers, especially those dealing with complex disease, offer far more reliable and lasting results than can be achieved through the services offered by non-specialist departments. This issue’s opening article looks at criteria that can usefully be used to identify and, in a sense, accredit and certify the activities of such centers. This topic is closely related to the possibility of embarking on new paths, trials and research projects, in other words on scientific activity that must always be designed to support, and be the basis of, clinical activity: after all, where research is carried out, the quality of care is higher. Primary midline uncomplicated ventral hernia is one area that, despite its simplicity, still seems to be uncharted territory from the best practice perspective. In fact, this condition is treated in the most diverse ways, giving mixed results that certainly depend, more than anything, on the presence or absence of an associated rectus diastasis. This applies not only to epigastric but also to umbilical hernias. A particularly interesting aspect is the choice of approach, which may differ from case to case, depending, among other things, on the size of the defect, also in relation to the size of the abdominal wall. This will be the topic of our second Forum, where we will publish invited papers from the most famous international experts. 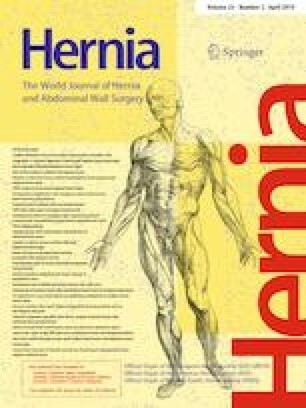 However, as we already made clear in the February issue Editor’s Corner, all our readers are invited to contribute to the debate, presenting, in the form of original papers, reviews or simple letters to the editor, their experience of and therapeutic approach to primary midline uncomplicated ventral hernia. Our Forum on “primary unilateral uncomplicated inguinal hernia” will be published in the next issue of the journal.